This is the fourth post in our series on probation violation hearings in Arkansas courts. Previously, we have discussed common ways to violate your probation, how your probation officer initiates a violation and how to negotiate reinstatement of your probation. Please visit these topics for answers to frequently asked questions. We have also outlined the possible consequences of a probation violation. These consequences range from additional treatment, classes or community service, to jail or prison time. We cannot stress enough that one should contact a criminal defense attorney immediately if they are facing such a situation. 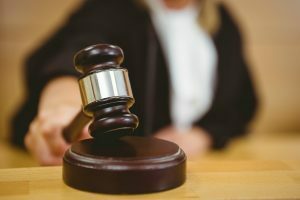 Once your probation officer (PO) submits a violation petition to the court then you will have to appear for arraignment on the alleged violation. Your lawyer will receive a copy of the petition which will include a list of allegations. This is where your PO tells the court the ways in which he or she believes you violated. After denying the violation your lawyer will probably set a couple of future dates. First, counsel will choose a date for negotiations with the Prosecuting Attorney and the judge. If it is necessary then a hearing date will be set. Little Rock probation violation hearings occur in the Arkansas Circuit Court and generally happen within 60 calendar days of arraignment. The hearing involves live testimony from witnesses. Your probation officer will testify, and anyone else necessary to establish the basis for your alleged violation will be called to give evidence. The judge will also consider the absence of certain evidence, for example a lack of proof of classes, meetings or program days. Once the prosecutor finishes presenting evidence, your lawyer can present a defense. Your lawyer will interview you regarding the facts and violations alleged as part of preparation for your hearing. In addition, they will gather any documentation you have and take names of any witnesses who may be helpful in establishing you did not violate your probation. Your attorney will gather any other evidence such as photos of where an alleged incident took place, records establishing your compliance with probation requirements such as attending classes, looking for employment, or paying child support. If the violation is based on a new incident, such as a fist-fight or petty theft allegation, then your counsel may visit the scene of the offense. They will take photographs and interview the witnesses to determine if they have a motive to lie. During the hearing, your attorney will make legal objections to proffered evidence as well as cross-examine witnesses and try to poke holes in their version of events. At the close of evidence a judge, not a jury determines whether or not you are in violation. The standard of proof at a probation violation hearing is a fairly low one. Preponderance of the evidence essentially means more than half. The judge therefore only has to decide there is a greater chance you violated than not. If you are found in violation, the consequence is entirely up to the judge. As we have discussed previously the consequences may be small, such as additional community service or meetings, or large, such as jail or a termination of your probation and imposition of a prison sentence. Our Little Rock criminal defense lawyers can assist you in your violation hearing. Call today for a free consultation. We take a collaborative approach to your defense and can help you obtain the best outcome. We also serve Fort Smith, Fayetteville, Springdale, Jonesboro, North Little Rock, Conway, Rogers, Pine Bluff and the rest of Arkansas.